3rd BEDROOM AND 2nd FULL BATH IN FINISHED BASEMENT!!! 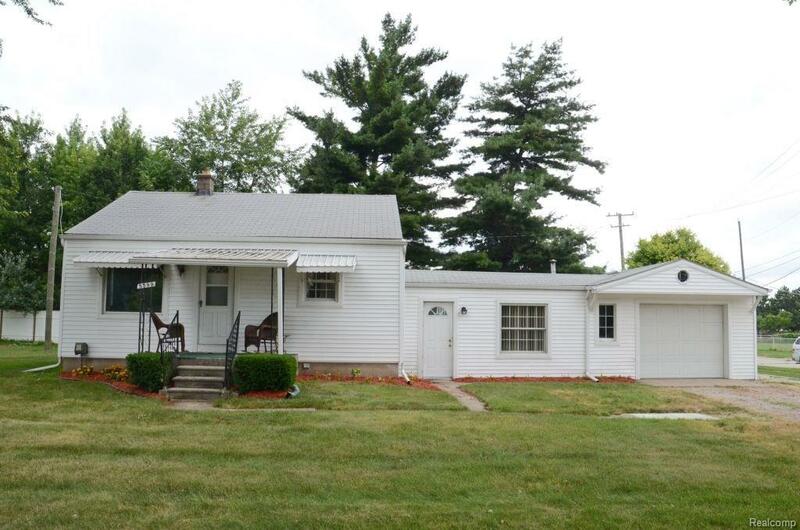 THIS AFFORDABLE, MOVE-IN READY 1-STORY, RANCH ON AN EXTRA-WIDE LOT IS A FANTASTIC STARTER! FEATURES UPDATED KITCHEN WITH GRANITE COUNTERS AND CERAMIC TILE FLOORING, HARDWOOD FLOORS IN THE BEDROOMS, UPDATED WINDOWS AND VINYL SIDING PLUS A FINISHED BASEMENT! OUTSIDE ENJOY BBQs ON YOUR PRIVATE PATIO, TONS OF STORAGE IN THE 12 x 12 SHED AND EXTRA PARKING FOR BOATS OR RVs! WITH THE LARGE SHADED LOT, MOVE IN READY CONDITION AND FLEXIBLE OCCUPANCY ALL THIS HOME NEEDS IS YOU! LIQUOR RACK IN KITCHEN AND WALL-MOUNTED TVs IN LIVING ROOM AND BEDROOM ARE EXCLUDED. BUYERS AGENT TO VERIFY ALL INFORMATION.